Draft: 2005, San Diego Padres, C1th rd. 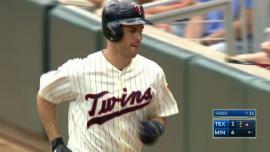 Joe Mauer singles on a line drive to left fielder Ryan Rua. 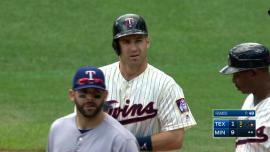 Joe Mauer grounds out, second baseman Rougned Odor to first baseman Mitch Moreland. Eduardo Nunez to 3rd. Juan Centeno hit by pitch. March 29, 2018 Oklahoma City Dodgers released LHP Cesar Ramos. February 24, 2018 LHP Cesar Ramos assigned to Los Angeles Dodgers. February 24, 2018 LHP Cesar Ramos assigned to Oklahoma City Dodgers. February 18, 2018 Los Angeles Dodgers signed free agent LHP Cesar Ramos to a minor league contract. November 6, 2017 LHP Cesar Ramos elected free agency. January 11, 2017 LHP Cesar Ramos assigned to Lehigh Valley IronPigs. 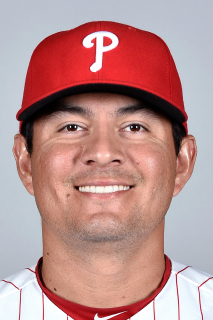 January 5, 2017 Philadelphia Phillies signed free agent LHP Cesar Ramos to a minor league contract and invited him to spring training. November 7, 2016 LHP Cesar Ramos elected free agency. August 4, 2016 Detroit Tigers signed free agent LHP Cesar Ramos to a minor league contract. August 4, 2016 LHP Cesar Ramos assigned to Toledo Mud Hens. July 25, 2016 Texas Rangers released LHP Cesar Ramos. 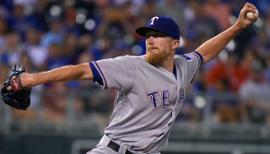 July 22, 2016 Texas Rangers designated LHP Cesar Ramos for assignment. April 25, 2016 Texas Rangers selected the contract of LHP Cesar Ramos from Round Rock Express. April 21, 2016 Round Rock Express placed LHP Cesar Ramos on the temporarily inactive list. April 7, 2016 LHP Cesar Ramos assigned to Round Rock Express. January 5, 2016 Texas Rangers signed free agent LHP Cesar Ramos to a minor league contract and invited him to spring training. December 2, 2015 LHP Cesar Ramos elected free agency. November 5, 2014 Los Angeles Angels traded RHP Mark Sappington to Tampa Bay Rays for LHP Cesar Ramos. July 7, 2014 Tampa Bay Rays activated LHP Cesar Ramos from the paternity list. July 4, 2014 Tampa Bay Rays placed LHP Cesar Ramos on the paternity list. October 12, 2013 Tampa Bay Rays activated LHP Cesar Ramos. October 2, 2013 Tampa Bay Rays reassigned LHP Cesar Ramos to the minor leagues. September 1, 2012 Tampa Bay Rays recalled Cesar Ramos from Durham Bulls. July 22, 2012 Tampa Bay Rays optioned Cesar Ramos to Durham Bulls. July 21, 2012 Tampa Bay Rays recalled Cesar Ramos from Durham Bulls. July 2, 2012 Cesar Ramos roster status changed by Durham Bulls. June 30, 2012 Tampa Bay Rays optioned LHP Cesar Ramos to Durham Bulls. May 6, 2012 Tampa Bay Rays recalled Cesar Ramos from Durham Bulls. March 23, 2012 Tampa Bay Rays optioned Cesar Ramos to Durham Bulls. September 30, 2011 Cesar Ramos roster status changed by Tampa Bay Rays. August 7, 2011 Tampa Bay Rays recalled Cesar Ramos from Durham Bulls. July 26, 2011 Tampa Bay Rays optioned Cesar Ramos to Durham Bulls. July 26, 2011 Cesar Ramos assigned to Durham Bulls. December 17, 2010 Tampa Bay Rays traded Player To Be Named Later and SS Jason Bartlett to San Diego Padres for RHP Adam Russell, RHP Brandon Gomes, LHP Cesar Ramos and SS Cole Figueroa. November 19, 2010 Naranjeros de Hermosillo placed LHP Cesar Ramos on the 7-day disabled list. October 6, 2010 LHP Cesar Ramos assigned to Naranjeros de Hermosillo. September 5, 2010 San Diego Padres recalled Cesar Ramos from Portland Beavers. 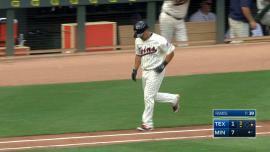 May 22, 2010 San Diego Padres optioned Cesar Ramos to Portland Beavers. May 11, 2010 San Diego Padres recalled Cesar Ramos from Portland Beavers. May 11, 2010 Cesar Ramos roster status changed by San Diego Padres. April 22, 2010 San Diego Padres optioned Cesar Ramos to Portland Beavers. April 4, 2010 San Diego Padres recalled Cesar Ramos from Portland Beavers. March 15, 2010 San Diego Padres optioned Cesar Ramos to Portland Beavers. September 8, 2009 San Diego Padres recalled Cesar Ramos from Portland Beavers. August 17, 2009 Cesar Ramos assigned to Portland Beavers from Lake Elsinore Storm. August 5, 2009 Cesar Ramos assigned to Lake Elsinore Storm from Portland Beavers. July 10, 2009 sent LHP Cesar Ramos on a rehab assignment to AZL Padres.